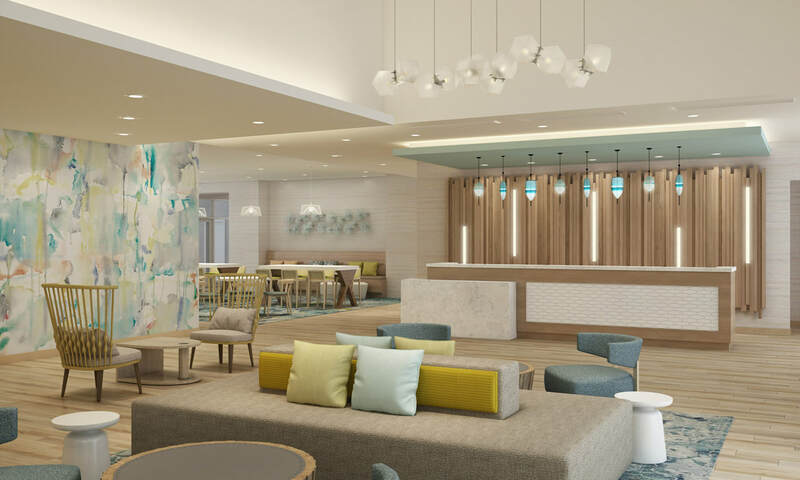 NEW YORK, April 15, 2019 /HalcyonTV/ -- Nobu Hospitality, the globally established lifestyle brand founded by Nobu Matsuhisa, Robert De Niro and Meir Teper, is delighted to announce the launch of its London West End hotel. 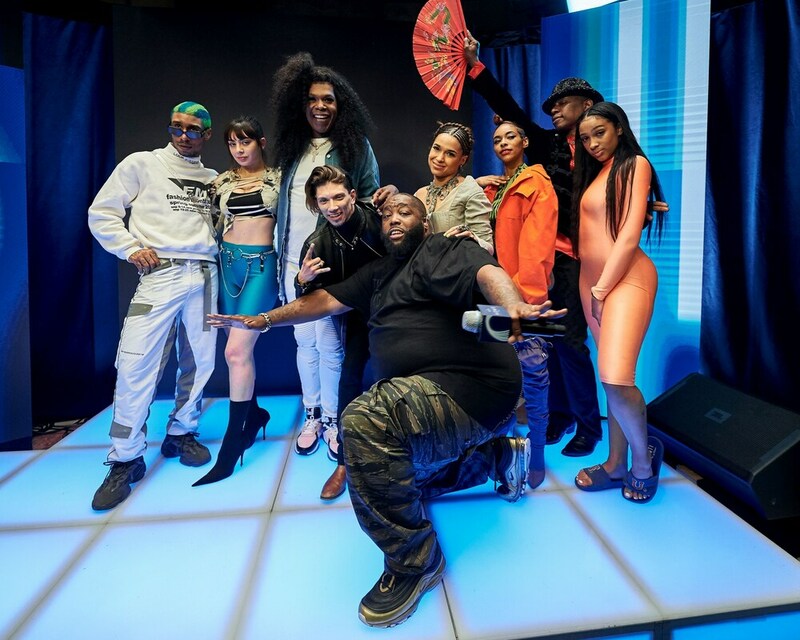 NEW YORK, April 11, 2019 /HalcyonTV/ -- Last night, Maison Martell premiered the first episode of Martell Home Live, hosted by the legendary Killer Mike at The Greystone Court, NY. The digital platform highlighted creatives in music, arts and entertainment and was livestreamed on Maison Martell's Facebook and YouTube page. NEW YORK, April 8, 2019 /HalcyonTV/ -- Spring is one of nature's greatest performances – a time of rebirth, renewed energy and dramatic transformations. For three consecutive nights, Monday, April 29 - Wednesday, May 1 at 8:00 p.m. ETon PBS (check local listings) and Facebook, Nature: American Spring LIVE presents the change from winter to spring in real time from iconic locations across America. Acclaimed news anchor Juju Chang will host the multi-platform event with on-camera experts, including biologist Thor Hanson and entomologist Phil Torres, showing springtime phenomena in ecosystems ranging from the Sierra Nevada Mountains to the Everglades, from inner-city parks to remote wilderness preserves. The series will include a mix of live and pre-taped footage highlighting some of the most pivotal events in nature's calendar. "Nature throws a party every year, and it's called spring. It is the most active time in the natural world for plants and animals, from birth and rebirth to migrations to pollination," said Nature executive producer Fred Kaufman. "In addition to witnessing incredible wonders, the goal of Nature: American Spring LIVE is to inspire people to go outside and get involved with science. Everyone can play a part in our natural world." Each episode is built around a central theme chosen to reveal how the new season triggers extraordinary biological change. Live locations include California's Sequoia National Park and Point Reyes National Seashore; Gainesville, Florida, and the Everglades; the Eastern shore of Virginia; a sheep farm in Maine; a black bear den in rural Western Maryland; Mt. Lemmon, Arizona; and Texas' Bracken Cave and Gulf Coast. Breeding and the greening of the landscape are tied to another major spectacle of spring: the mass movements of animals as they take advantage of spring's bounty. Meet the scientists who track the journeys of animals such as butterflies, birds, bison and bats over vast distances, from winter refuge to spring nesting grounds. As they attempt to uncover the precise triggers and timing of migration and its impact on other animal species, the scientists grapple with how these patterns and behaviors may shift due to climate change. Nature's perfect partnerships, precisely synchronized, have evolved over thousands of years. Learn how plants and animals depend on each other to survive. See first-hand how climate change can break those connections, altering the timing of weather and plant growth, and disrupting the delicate relationships between plants and pollinators such as moths, bees and butterflies. Watch a family of wolf cubs explore their den in Minnesota's Voyageurs National Park and learn about their vital connection with the park's ecosystem. Plus, see how bobcats at Point Reyes National Seashore hunt for mice and other small prey. To encourage audience participation during the live event and beyond, Nature: American Spring LIVE is highlighting projects that rely on everyday citizens to provide data and observations. These citizen science partnerships include the Bird Cams Lab and Celebrate Urban Birds projects (Cornell Lab of Ornithology), The Great Sunflower Project (San Francisco State University), The Monarch Larva Monitoring Project (University of Minnesota Monarch Lab), Track-a-Lilac with Nature's Notebook (USA National Phenology Network), SciStarter (Arizona State University), Next Avenue (Twin Cities PBS), and the National Park Service. A robust collection of classroom resources produced by WNET Kids' Media and Education will be hosted on PBS LearningMedia with activities to help teachers get students involved in hands-on science research. Additionally, WNET's Emmy Award-winning series Cyberchase will focus on citizen science in a new primetime special, Space Waste Odyssey, premiering Friday, April 19 at 7 p.m. on the PBS KIDS 24/7 channel and live stream. Nature: American Spring LIVE is the finale of Nature's 37th season on PBS. The series has won more than 700 honors from the television industry, the international wildlife film communities and environmental organizations, including 18 Emmys and three Peabody Awards. Additional financial support was provided by the Arnhold Family in memory of Henry and Clarisse Arnhold, Sue and Edgar Wachenheim III, the Kate W. Cassidy Foundation, the Lillian Goldman Charitable Trust, Kathy Chiao and Ken Hao, the Anderson Family Fund, the Filomen M. D'Agostino Foundation, Rosalind P. Walter, the Halmi Family in memory of Robert Halmi, Sr., Sandra Atlas Bass, Doris R. and Robert J. Thomas, Charles Rosenblum, by the Corporation for Public Broadcasting, and by the nation's public television stations. ATLANTA, April 4, 2019 /HalcyonTV/ -- In advance of Spring Black Friday, The Home Depot® (NYSE: HD) commissioned a survey of 1,000 Americans* conducted by Wakefield Research to find out how people use their outdoor spaces—front and back yards, patios, decks, etc. The research also revealed the motivation behind completing outdoor projects. About 30 percent of Americans don't know where to start when it comes to outdoor projects and are seeking inspiration. Whether they're looking to build a window box planter to feature the flowers of their choice, or to increase curb appeal with a new walkway, spring is a great time to spruce up any home. Confidence is key in tackling any project. Having more DIY knowledge is the next biggest factor in getting that outdoor project done, and it turns out Gen Z and Millennials are among the most confident in this category. Those with self-doubt can join our in-store DIY Workshops to gain the confidence to help them get started. Millennials are the age group most interested in keeping up their yards so their kids have a safe place to play, at 32 percent and pets have a fun place to explore, at 31 percent. Of those who maintain their outdoor spaces primarily for entertaining, Millennials unsurprisingly top the list at 39 percent, followed by Gen Z (36 percent). Setting up their patio with budget-friendly dining sets and grills is a great way to start. More than half of Americans (56 percent) say the biggest reason for maintaining their outdoor space is to enjoy them privately with those closest to them, with Boomers being the most private at 69 percent. Those looking for privacy can close the curtains on that gazebo to protected from prying eyes and mosquitos alike. Those with an outdoor deck, on average, spend seven hours a week outside; two more than those who do not. An outdoor space like a patio or deck, allows one to amp up their grilling game while hosting family and friends. They can even take it a step further by cooking with produce from their very own veggie plants. With The Home Depot's Spring Black Friday starting April 4 and running through April 14, homeowners can easily increase their outdoor time by going outside and relaxing or getting a jump on that outdoor project. Customers looking for extra know-how or inspiration can talk to an associate at their local Home Depot store or view The Home Depot's Spring How-to Videos. SARASOTA, Fla., April 3, 2019 /HalcyonTV/ -- Paul Rudolph's internationally acclaimed Umbrella House has been added to the National Register of Historic Places. The iconic house, one of Paul Rudolph's first solo projects as a young architect, was commissioned by entrepreneur Philip Hiss in 1952 to be the eye-catching model home for his new Lido Shores development. Architectural Digest has called the building "One of the five most remarkable houses of the mid-twentieth century."